At MiniArt, our goal is to create models that will feed your hunger for original concepts. At the same time, we strive to be at the forefront of moulding technology. The results are kits that showcase world class quality and uncompromising creativity. Join us at MiniArt, where innovation is everything. At MiniArt we take great pride in our choice of kits. You won't find warmed-over remakes or run-of-the-mill models. We take pains to select subject matter that has either never been done in a plastic kit, or has never been done to our high standards for quality and accuracy. Our selective choices generate new opportunities for serious modellers to enrich their imagination. In creating tanks, armoured vehicles and artillery, we cut no corners. No facet is too small for special attention. Photo etched parts are used liberally to highlight details rarely exposed in other kits. Accessories like ammo boxes, artillery shells, oil drums, even small pails, are perfect. Where else will you find instructions in color to help you navigate finishing touches? Only life's figures are more convincing and while selection is crucial to your enjoyment, quality is also an integral part of every MiniArt kit. We've raised the art of figure-making to a new level. We begin with sketches that craft a framework for poses and positions. Then, as part of the moulding process, our figures are sculptured by an artisan adept at capturing each facial crease and nuanced detail. These figures are so real you can almost feel their emotion. At times, you'll even be able to discern nationalities by the crop of the hair, the jut of the jaw, and their facial expressions. 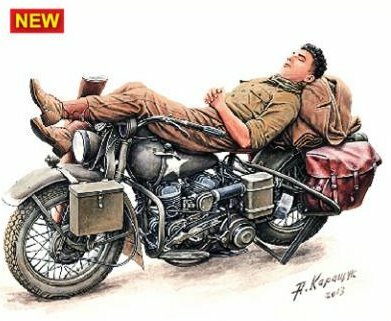 Marching, resting, working and battle poses are natural and in synch with anatomical accuracy. Only reality's figures are more believable. In this original series, the art of injection moulding and the latest vacuum forming techniques merge to add a new dimension to your hobby. Vacuum formed roofs and walls, mesh with highly detailed injection moulded windows, doors, stairs, gates and other architectural components to create exacting replicas. In contrast to ceramic and resin, plastic is more affordable, lightweight, and stronger. And you can continue to work with the tools and paints you are used to handling in producing plastic figures, armour and vehicles. The subject matter is innovative in its diversity. From cityscapes to rural structures, there's a wide breadth of imaginative architecture. There are structures from WWII Czechoslovakia, the Ukraine, Poland, Germany, France, Italy and more. From a French cafe to an Italian home with terrace, the authenticity is historically correct. Homes, city offices and other structures from various villages and cities are faultless. Select from buildings already torn and scorched with the scars of battle, or structures untouched by war. The selection is inspired. Never before available in plastic, our Diorama Series breaks new ground in modelling innovation. Each kit contains buildings, accessories and matching, textured bases to form a complete diorama. The selection of diorama architecture includes both ruined and like-new, WWII buildings from various European countries. All structures are masterfully designed and true to the historical and architectural details of the period. The creative flourishes are everywhere, like advertising on a street kiosk, period lampposts, directing signs and more. The realism is exceptional. To complete the dioramas, some kits contain military figures in varied poses, including marching, resting and fighting. Their weapons, armoured vehicles and accessories are included. We are glad to introduce a new line in our range - MINIATURES, which presents civilian subjects. 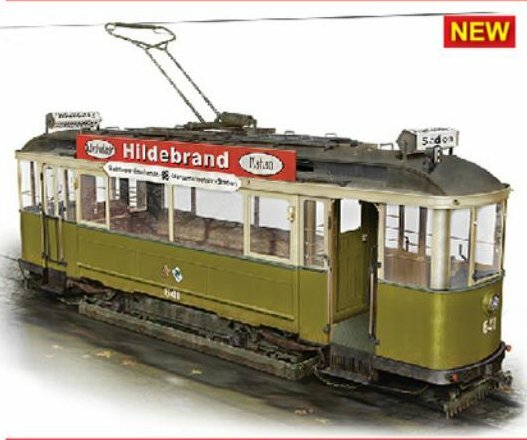 The series will be filled up with models from different years and contains various sets of trucks, cars, trams, figures etc. Without any doubts we are keeping high level of our models using up-to-date moulding technology. 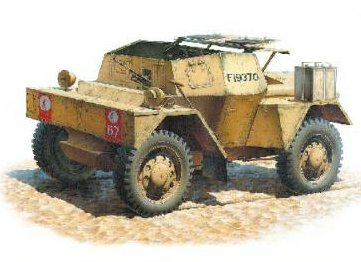 Unique non-military subjects of the series give new ways for modellers to enrich their imagination. Once again, proving their penchant for innovative selection, MiniArt introduces 1: 16 scale historical figures ... a collection never before available in plastic. The series covers periods from classical antiquity through medieval times, and up through the 20th century. Warriors from these tumultuous eras include foot soldiers from the Middle Ages, Praetorian Guardsmen from the 2nd century, Athenian and Spartan Hoplites (heavily armed infantry soldiers) from the 5th century B.C., 15th century knights in armour, and Napoleonic grenadiers as well as early 20th century Russian Cuirassiers, and more. Historically perfect, each figure has been meticulously researched as to armour, weapons, shields and dress of the times. From the facial expressions through the multitude of varied poses, each figure is anatomically correct. The directions will lead you through the finishing touch of painting, which will bring these warriors to life. Modellers, gamers and hobbyists have never had the opportunity to work with these choices of subject matter in these chosen timeframes. MiniArt has created, in plastic, a series of historically accurate architecture, soldiers, weapons and accessories from the 4th through the 15th century and beyond. Meticulous research of medieval times enabled MiniArt's artists, sculptors and mould-makers to create a stone fortress and castle. Ruined city buildings and a pristine East European village home and barn are so faithful to the original that they may bring previously unavailable accuracy to your diorama"